Joomla! has released new version 2.5 on Jan 2011, it came with lot of new features over the previous one. Version 2.5 is also a long-term-support (LTS) release that will be supported for at least 18 months. Joomla! also announced that version 1.7 will reach end of life one month from today, on 24 February 2012. All users of version 1.7 should update to version 2.5.0 before that time. Requirements of Joomla! 2.5.0 is same as for the version 1.6 and 1.7. The main new features are Search function, Database support and Easy update. This functionality offers a faster, more user-friendly search experience for the visitors. It features the search with auto-completion and stemming, which allows the user to find relevant content by just typing the first several letters of a word. It designed for versatility and speed, this native Joomla! component + plugins set gives you one-click automated indexing of all content items, categories, weblinks, contacts, newsfeeds, etc. It offers a large array of configurable options, including result description length, url length, and date filters. Previously joomla! supports only MySQL and MySQLi database only for the installation, now it possible to run the Joomla! CMS on many different databases. This facilitates integration and update management processes. Joomla! now allows different drivers to be written that will support different versions of SQL databases. Current drivers exist for the MySQL and MS SQL databases, with PostgreSQL, Oracle, SQLite and PDO drivers close to being ready. – Available as a quick button on the administrative control panel of your Joomla! 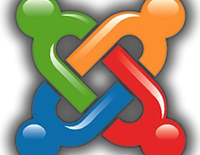 website, it enables administrators to update a site to the latest stable Joomla! release with just a single click. – A second quick button handles updates for Joomla! extensions. The core comes with a a plug-in that gives you the ability to use reCAPTCHA, the most accessible of the CAPTCHA services. Once you sign up for free with reCAPTCHA and enter your keys, you can enable CAPTCHA on new user registrations. Joomla! has always displayed a big Joomla! logo when you put a site offline. This leads to confusion on whose site it is. In order to fix it, you had to provide a custom file in your template. With this feature, no image is displayed by default and you can upload/select any image you want to be displayed went your system is offline. This feature allows search engines to see the language and country code they expect in cases where the Joomla! language pack uses a different code. Joomla	Technical Requirements for Joomla!